Many customers enjoy promotional giveaways because they’re fun events. It can be refreshing to visit an establishment in the midst of an entertaining gathering, especially if the company decided to use an interesting theme. Adding a motif to an event can go a long way toward ensuring that it stands out from others. Many organizations rely on themes to ensure that consumers will actually want to participate. For instance, Pollo Tropical will hold a grand opening that resembles a beach party at its newest location in Tampa, Fla. The chain restaurant also plans to hold special contests as the first 100 customers will be part of a drawing to win free chicken for the next year. Business owners should try to make their giveaways as fun as Pollo Tropical’s to attract customers and ensure that everyone can have a good time during the events. While a beach party might not be the ideal theme for every company, there’s a wide range of options from which entrepreneurs can choose. Carefully selecting a creative motif can be the difference between a successful marketing event and one that can be improved upon in the future. While it may be tempting to pick any theme that seems interesting, that might not be the best idea. Marcy Twete, an event and marketing expert, recently told the American Express OPEN Forum that while motifs aren’t necessities, businesses have to be careful to pick relevant ones. “If you do choose an event theme, however, make sure it’s relevant to your business and marketing message. It should add to the event and complement the event logistics, but should not be the only message your guests hear or see,” Twete said. Indeed, themes are meant to enhance events, not serve as the centerpiece. When small business owners don’t make their brands or products the main focus of a special celebration, consumers might not remember anything about the company afterward. This is why Pollo Tropical’s beach party is so effective. Many Floridians love the beach and the establishment is merely capitalizing on that fact to generate interest in the new location. Small business owners have to be creative and find ways to attract customers. Incorporating local interests and holidays can be an effective strategy as it ensures that giveaways will be relevant to consumers. Implementing a theme isn’t as simple as hanging a few banners and including special imagery in advertisements. Small business owners have to create immersive environments for customers in order to host truly successful events. This starts by distributing promotional items that match the motif. For instance, if a restaurant was holding a Halloween giveaway, black promotional pens and orange key chains may be the best options. When the gifts align with the theme, customers will enjoy themselves immensely. 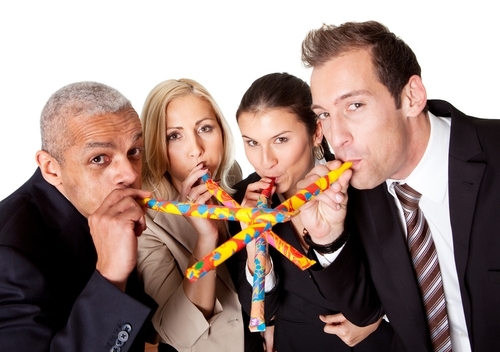 Small business owners should also have employees reinforce the motif by playing active parts in the celebration. The staff serves as the face of the company so when everyone doesn’t look like they support the promotion, customers might not be able to understand the point of the event. Workers should be asked to dress for the occasion and encourage consumers to participate in various aspects of the giveaway. This will ensure that everyone is having fun instead of ignoring the promotion. Finally, a bit of music can go a long way toward establishing a theme. While it’s not necessary to hire a live band for every gathering, playing some songs that are relevant to the event contribute to a lively atmosphere, which will keep customers entertained.